NASA’s OSIRIS-REx asteroid sample return mission is scheduled to launch in September 2016. On board will be the student conceived, designed and built instrument REXIS. 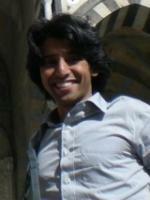 We talk to former science lead EAPS graduate student Niraj Inamdar. OSIRIS-REx will arrive at the asteroid 101955 Bennu in 2018, orbit, and ultimately descend to the asteroid surface and bring a sample of the uppermost part of its surface (the “regolith”) back to Earth. The acronym—which stands for “Regolith X-ray Imaging Spectrometer”—reflects the fact that the instrument collects X-rays emitted by the regolith in response to incident Solar radiation. 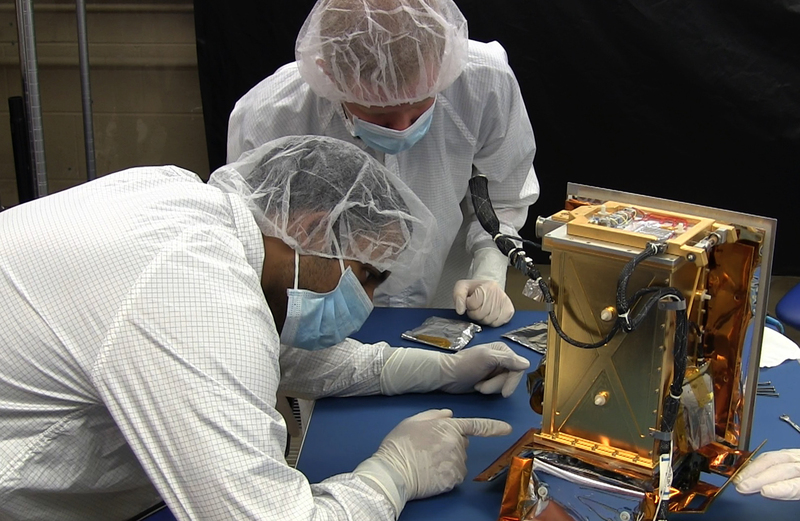 Among the suite of instruments on board will be REXIS a student conceived, designed and built X-ray imaging spectrometer which will analyze and characterize Bennu during the orbital observation phase of the mission. Based on earlier ground-based observations, Bennu is believed to be similar to a class of meteorites called carbonaceous chondrites, which have compositions similar to that of the early protoplanetary disk from which our Solar System formed. REXIS’s primary goal is to use the X-rays emitted by Bennu (its spectrum) in order to understand its global composition. In this regard, REXIS will play an important role in constraining the elemental makeup of what is likely a 4 billion year-old relic of the Solar System’s formative stages. Several from EAPS have been involved with REXIS. Professor Rick Binzel a world expert in meteorites and asteroids was originally the Instrument Scientist, lending his expertise to help define the instrument’s science goals and capabilities in characterizing Bennu. Binzel remains a member of the OSIRIS-REx science team having temporarily stood in as instrument Primary Investigator for Prof. David Miller of AeroAstro (currently NASA Chief Technologist). Other EAPS members who have been involved with REXIS include Prof. Sara Seager (who was involved in the formative stages of the instrument’s conception through its 16.83 engineering design class, and who was an instrument Co-investigator), as well as EAPS undergraduate Zsuzsa Megyery XII ’13 (who contributed as part of 16.83), and former EAPS minor Hosea Siu ‘14, who undertook a UROP with Inamdar. EAPS News recently sat down with Niraj to learn more about his role in REXIS. HH: How did you become involved with REXIS? NI: During the fall of 2011, I was a graduate student mentor and TA for 16.83, the AeroAstro capstone design class which my advisor at the time (Prof. Sara Seager) was co-teaching and who was at that time a co-investigator on REXIS. REXIS was one of the projects being worked on as part of this class. At that point, the basic premise and goals of REXIS—from both an engineering and a scientific standpoint—were being defined. After those goals were refined and presented to NASA in January 2012, the project went from being led by a group of mostly undergraduates to a graduate student-led project. Until the summer of 2012, I worked primarily on engineering design and analysis of the instrument’s imaging system. After that (given my strong interests in physics and planetary science) I took over the role of science lead. I maintained that role while the instrument underwent its final major design review with NASA (the Critical Design Review, or CDR) in February 2014, until I transitioned off onto new research and a new advisor in the summer of 2015. HH: What does being a science lead entail? NI: Being the science lead on REXIS meant playing several distinct roles. Firstly, I produced the analysis that helped define our instrument’s science objectives, goals, and capabilities. That meant creating physical models for stellar X-ray emission and asteroid X-ray fluorescence, as well as models that simulated the actual collection and processing of the data in order to understand the instrument’s ability to achieve its stated goal of globally characterizing Bennu’s composition. In addition, I worked closely with our instrument science team members at Harvard, which includes two staff scientists (Drs. Jaesub Hong and Branden Allen) and an astronomy faculty member (Prof. Jonathan Grindlay), as well as our own Professor Binzel, the instrument Primary Investigator. The Harvard group contributed very meaningfully to my analysis in understanding how well REXIS can constrain the global composition of the asteroid while also performing analysis to understand how well REXIS could image the X-rays emitted by Bennu. That is, they tried to understand how well the spatial variation in X-rays emitted by Bennu (and hence the spatial variation in its composition) could be measured. It turns out the latter is significantly more difficult than understanding the asteroid’s global composition, but if REXIS is able to measure such variations, it may shed light, for instance, on how Bennu itself formed. Developing, designing, and building a spacecraft with definitive science goals on a tight schedule requires a considerable amount of organization and communication, often between people from very different background (e.g. electrical engineers and mechanical engineers, planetary scientists and stellar astrophysicists, and more generally scientists and engineers). Oftentimes, the barriers that exist between these groups (not only in terms of technical expertise but even in terms of the language they use to communicate their ideas) can serve as an impediment to maintaining the NASA-prescribed schedule. Given my somewhat unique background in both engineering and science, I used the role of science lead to help bridge that gap as best as I could. This was especially useful when engineering design choices directly impacted REXIS’s ability to carry out its science goals, and it was particularly useful during our design reviews with NASA, where it was imperative to communicate and justify our engineering design choices (often on the basis of our science objectives) to a large group of critical reviewers. HH: Just how unique was this opportunity? NI: Incredibly unique! 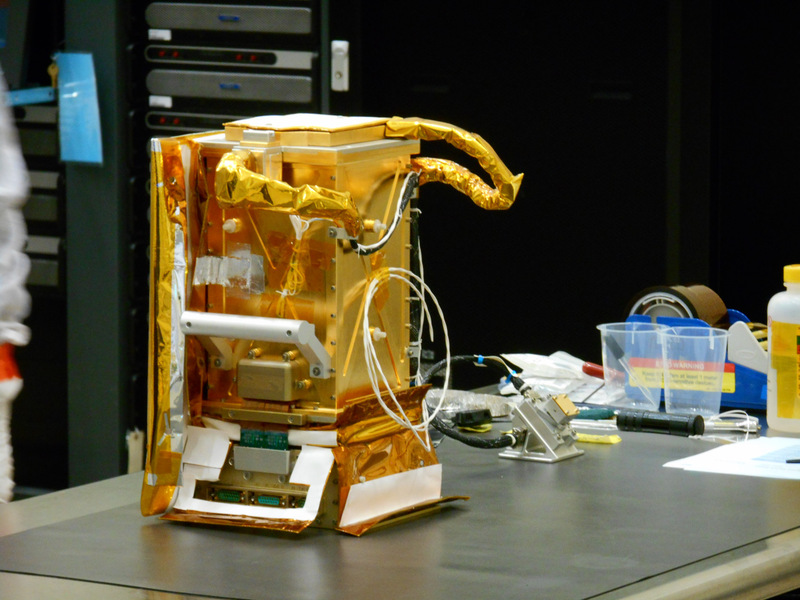 It’s not often that you get to work on an instrument that will travel to an asteroid as part of a major NASA initiative, and it’s even more remarkable that I was able to do so as a student and in an environment that encouraged interaction between so many different disciplines and between several different institutions. I especially consider my role as an intermediary between the scientists and engineers on the team as a unique and special experience—this is of course in addition to all the amazing engineering and science I had an opportunity to do and learn as part of the project. Inamdar is the 2015-16 Robert R. Shrock Graduate Fellow. He was formerly the 2014-15 Grayce B. Kerr Graduate Fellow. To find out more about giving opportunities, and ways to provide fellowship support visit the EAPS giving page.